Oh smart phones what did we ever do without them! Honestly, I really think that I use my iphone way more than I even use my computer. One of my favorite aspects of having a smart phone is how simple it can be to stay healthy with what seems like a million different apps, catered to exactly what it is you need and are looking for. I use my iphone for everything from exercise tracking, to food shopping, to recipe ideas. Having a multitude of resources at the palm of my hand has been very beneficial in maintaining a healthy lifestyle even in a busy life. Today, I thought it would be great to share with you guys some of my favorite health oriented apps. Some I have been using for years, while others are recent finds, but all of them I find to be really useful and use on a daily or weekly basis. This is my go to application for tracking my runs. It will show you have fast you are running, what your average pace is, calories burned, and at the end provide you with a map of exactly the route you ran on. It also has fun features like “Challenge Yourself” where you can choose to try to beat a previous workout or make a certain time or distance. It also has one of my favorite features “Power Song” which is a song you can choose to have played when you need a little extra motivation to get through your workout. 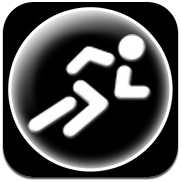 If you are a runner, there is no way you wont like this app! I tend to use this application more when I am doing strength training or my 15 minute ab workout. It is a great application to use also for any sort of interval training since you can customize the intervals, sets, and rest times to your personal preference. This has come in handy when I am trying to make sure my rests between sets are for a specific amount of time. I tend to find that I wind up getting a better interval workout if I am using Gymboss as a way of keeping exactly on track time wise. 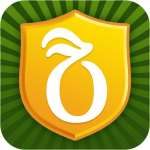 Allows you to track your fitness on a daily basis along with your nutrition. I don’t use this religiously but I try to use it as much as possible to make sure that I am getting my recommended amount of fat and protein. I was completely unaware until using MyFitnessPal that I was not getting nearly enough protein for the kind of exercise I do on a regular basis. I am by no means a calorie counter, but this application helps me make sure my intact is on par with what I need from an exercise stand point. Also if you do happen to be someone who would like a good way to really track your food and exercise for weight loss MyFitnessPal can certainly do that for you. 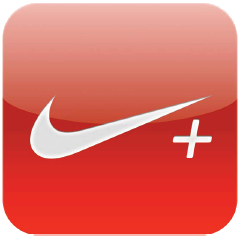 I used this app a ton when I had my Android Smartphone…I am not sure if at the time I was unaware of Nike + Gps or if it wasn’t available for Android Smartphones, but I really do love this application. It pretty much does everything that the Nike + Gps application does without the “Power Song” feature. 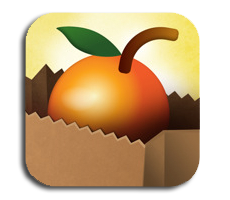 This is an awesome app to use while you are shopping around the grocery store. With the Fooducate app you can automatically scan a product barcode and see product highlights (both good & bad). 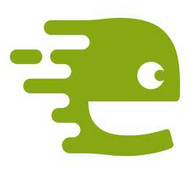 It then allows you to compare products and select better alternatives. Created by concerned parents and dietitians Fooducate helps you to make healthier choices by pointing out the stuff manufactures don’t want you to notice. 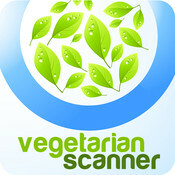 I love this app because it makes shopping as a vegetarian so much easier. Basically you just use the camera on your phone to take a picture of the barcode and the app will immediately let you know whether the product is vegetarian friendly or not and what exactly is in it that sounds an alarm. This is one of my more recent stumbles but one that I am very excited to use on a very regular basis. 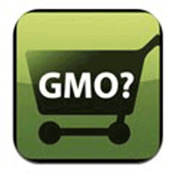 ShopNoGmo allows you to search by various brands and then it tells you which of those brands are GMO free and which are not. It also gives you loads of educational information on exactly what GMO’s are and why they are so dangerous. This app was very eye-opening! I love Martha Stewart and all of her magazines so it is no wonder that I would love her iphone apps too. 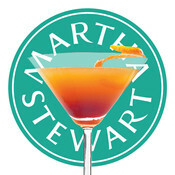 Get recipes for cocktails and tasty bar snacks from the new Martha Stewart Cocktails App for iPad, featuring spectacular photos, how-to videos, and drink-mixing tips. Don’t know what to make for dinner? This app is perfect for you! 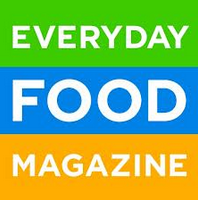 With thousands of quick and easy recipes from Everyday Food magazine. Browse by main ingredient, course, meal, and prep time. I love the “Recipe Shuffle” feature that inspires you with four randomly selected recipes that change with a shake of your Phone. 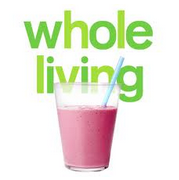 If you have been reading EatSimpleLoveYoga for even just a few days you probably are aware that I love smoothies. This app is great for different smoothie ideas, depending on exactly what I am looking for from the smoothie. Full of innovative recipes that have been carefully selected by food editors and dietitians—plus handy features, organizational tools, and extras this app has everything you need to start blending your way to wellness. I love whole foods and get their newsletter, but having their recipe ideas right on my phone is very convenient. Search Whole Foods Market Recipes for delicious recipes that include everything from dinner entrees to breakfast and beverages. There you have it! A nice inside look into some of the best apps I have found to help keep me healthy and stay on track in the easiest way.